POPSUGAR Must Have Box is a lifestyle subscription box curated by POPSUGAR Editor Lisa Sugar. Monthly Must Have Boxes feature $100+ worth of seasonal product picks from fashion, beauty, home decor, and more. 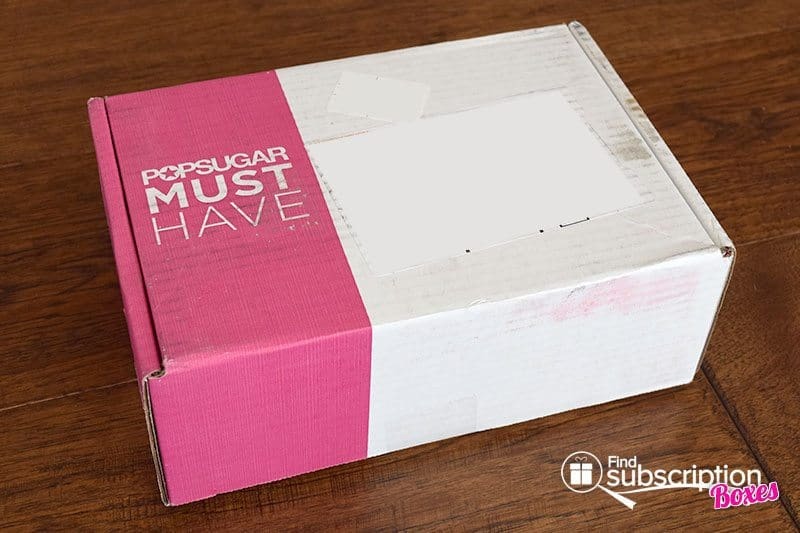 With today’s POPSUGAR box review, we’re unboxing the October 2015 POPSUGAR Must Have Box. The October Must Have Box was inspired by Autumn. Restful Nights. Cozy. Irresistible. Breast Cancer Awareness. POPSUGAR includes a product brochure featuring pictures and descriptions of each of that month’s amazing finds. Here’s a first look inside our POPSUGAR October 2015 Must Have Box. There were 6 products in our October POPSUGAR Must Have Box. Actor, producer, and writer, Mindy Kaling shares a collection of humorous essays that shed light on her Hollywood experience. Whether heading to your next housewarming or holiday party, these bags are a perfect way to package a bottle of wine. Designed by POPSUGAR, these pink slipper socks support Breast Cancer Awareness Month. Made of 100% satin, this pillowcase helps prevent sleep wrinkles and reduces hair breakage. This hydrating scrub has whole grain sugars and sea salts that exfoliate to reveal silky smooth skin. Heat up this caramel-filled waffle over a hot cup of tea or coffee for a crunchy and chewy treat. The October 2015 POPSUGAR Must Have Box was filled with products perfect for welcoming fall. The cozy slipper socks, delicious caramel waffle, and Mindy Kaling’s latest book are great for a relaxing afternoon with a cup of tea. Honest’s body scrub is perfect for scrubbing away dull skin caused by cooler weather. 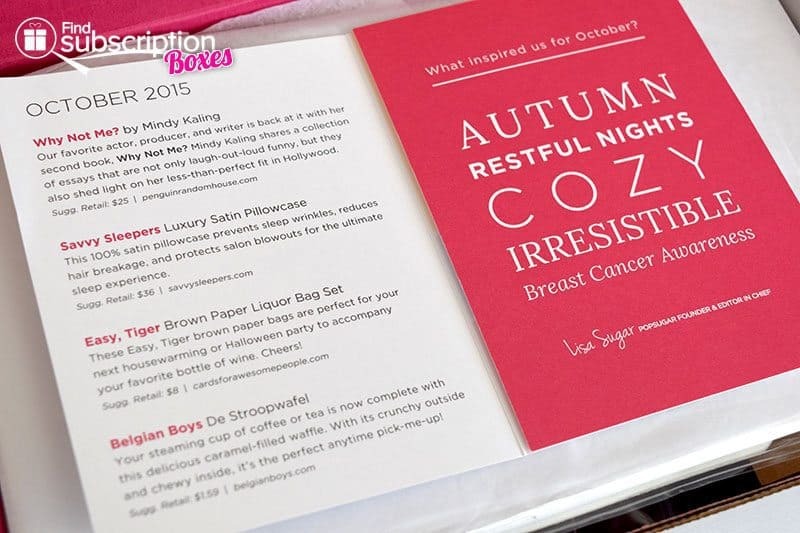 The total retail value of the POPSUGAR October 2015 Must Have Box was $102.59! What was your favorite POPSUGAR October Must Have Box item?